Not one who can be counted among soccer fans, more often than not soccer news, World Cup or otherwise doesn’t color my day. But I saw in the news this morning that Japan lost to Paraguay in the best sixteen series of the World Cup. Can’t really say that such news brought me down, but it did make me wish the result had been different. Seems I’m on another missing Japan low and waxing nostalgic about most things of my longtime home. With my mind on ‘the good old days’ I spent a few minutes looking through one of my books illustrating and describing the Japan of old. It might have been better had my hand fallen on a different book, because in looking again at The Japan Diaries of Richard Gordon Smith, I opened it to a page that immediately raised my ire. The back flap of the book’s cover makes no pretense of hiding the author’s attitudes toward his host country and states, ‘His views may be chauvinistic, even racist at times, but he was a man of his time, proud to be British and not afraid to express strong opinions.’ You have to read a little deeper to learn that as a young man he failed his exams and was forced to derive his income from the family’s business investments, and though not actually rich, never had to work for a living. This left him free to pursue his real interests—fishing and shooting. 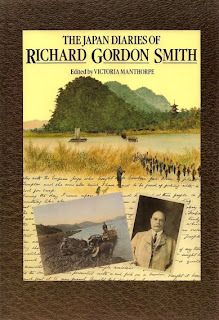 Gordon Smith first arrived in Japan in late December of 1898. 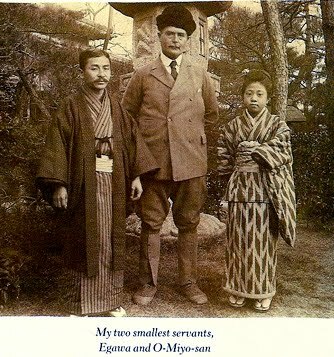 He returned to England several times, but spent most of his days in Japan until spring of 1907. There is little doubt that his “Ill-Spelled Diaries” offer a wealth of fascinating observations and odd facts about the country, and his name deserves to be remembered as one of Japan’s early archivists. There were few places he was reluctant to go, few experiences he was afraid of at least sampling. The problem with travelers of Gordon Smith’s time, and this is perhaps especially true of the British, was the superior mind-set engendered by colonialism. 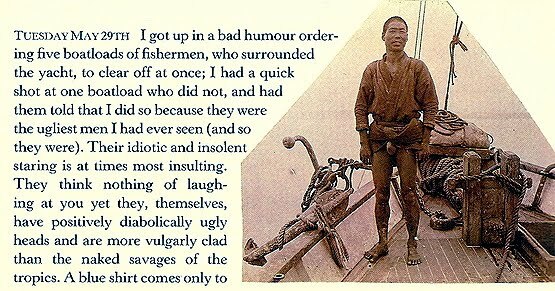 Everything in his upbringing and world view told him he was superior to the Japanese. This attitude supplied the palette of colors through which Gordon Smith described Japan and his time there. We have to comfort ourselves with one of his reflections upon returning to England when he found the contrast with the East thoroughly distasteful: the people, the climate and culture had all become unpalatable.